We are committed to provide prompt, reliable and professional services to our customers, both domestic and commercial. View some of the gardens which we have restored. 2nd July 2018 Gardening Tips, Pruning. 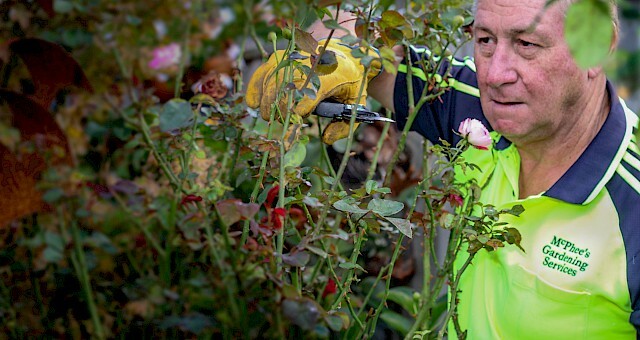 Pruning roses has the benefit of controlling the size and neatness of the bush while maximising the flower production. 29th June 2018 Gardening Tips. McPhees Gardening Services provides lawn mowing either casual or regular to both the domestic and commercial customers. We also provide a complete garden service from weeding, pruning, mulching to a complete garden make over. We provide free quotes which will detail a fixed price and what service is provided. "I would like to sincerely thank you for your decades of loyal dedication and service to the venue." "Always does an excellent job at making my gardens look fantastic!" "We are so happy with the work done by Geoff. He is very hard working and has transformed our garden." "Fast and efficient with no garden waste left behind." 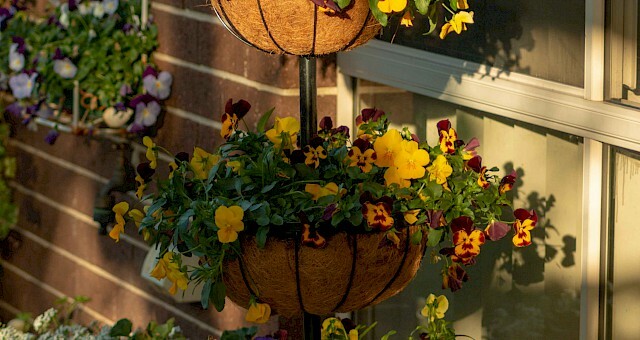 "We have been using McPhees Gardening for years and it's nice to have someone we can trust, whether we are at home or not." "People always let me know how great our garden looks. I have McPhees Gardening to thank."